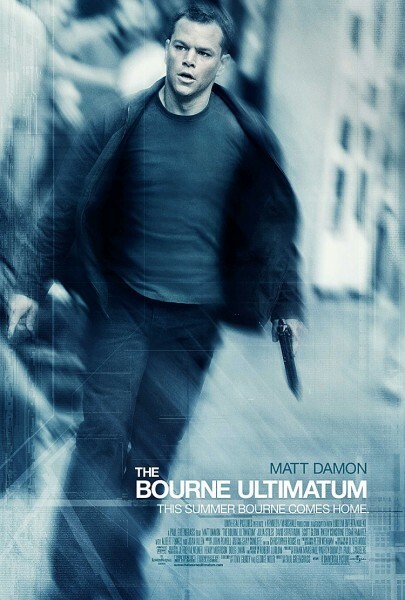 Not gonna lie– I didn’t really pay attention to The Bourne Ultimatum. But, if you’ve read my reviews of the previous films this shouldn’t come as a surprise. I couldn’t tell you anything about the plot of this movie (I read through the synopsis on Wikipedia and remembered very little of it), but there was some cool imagery in this film. There were quite a few scenes that I recognized as call backs to the previous two Bourne installments. It’s obvious the filmmakers were very deliberately coming full circle and closing the final chapter of the trilogy. Which makes the fourth movie a bit perplexing, but we’ll talk about that soon enough. I actually want to sincerely apologize to all the fans of these movies. I really did try to like them (on multiple occasions), but just couldn’t. Maybe I’ll give them another shot in a year or two. At least I gave these three all neutral scores though. Forgive me? This wraps up Matt Damon’s Bourne trilogy with a bang. All the quality we’ve come to expect after the first two moves is present here too. Great action, interesting story and a charismatic lead who carries the movie well. We catch up with Jason Bourne (Damon) for the third film in London. He is meeting a reporter, Simon Ross (Paddy Considine), who has been writing articles about Treadstone and its replacement sect of the CIA, Blackbriar. Bourne wants to know his source so he can find some more information about his past. The CIA is also tracking this reporter, with the intent of killing him, as his articles are bad press for them. When the new head of Blackbriar, Noah Vosen (David Strathairn), sees Ross conversing with Bourne, they assume that he is Ross’s source and plan to kill him too. Bourne recognises the CIA is following Ross and helps him to evade capture, but Ross deviates from Bourn’s instructions and is killed by a Blackbriar assassin. Bourne is able to use Ross’s notes to discover his source and sets out to find him, hopefully before Vosen is able to kill him. Bourne eventually ends up discovering more secrets about his past. I really enjoyed this film. It is a brilliant end to Damon’s trilogy. I know they made another Bourne movie a few years later with Jeremy Renner, but it felt so different to Damon’s films. It is really hard to consider part of the series. Bourne’s story is resolved nicely in this film and you get the feeling his story is now done. There is talk of another Bourne movie with Damon and Renner, which I’d be interested to see, but this film really does wrap up his story arc so well. It’d be like making a sequel to Nolan’s Batman films. It would just seem tacked on because everything was wrapped up so nicely. As in the previous films, the action scenes are fantastic. There is a really brutal fight scene halfway through the film between Bourne and a Blackbriar assassin Paz (Edgar Ramirez). The scene contains no music, the only sounds you here are them belting each other over and over again. It is a brutal fight scene, and really intense to watch. My favourite scene in the whole film though, was when Bourne is directing Simon Ross around London’s Waterloo station, hoping to avoid the CIA. It’s so exciting seeing Bourne attempting to stay one step ahead of the CIA and be able to avoid all of the agents and cameras wherever possible. You really want to yell at the screen when Ross deviates from Bourne’s instruction and gets himself killed. It’s one of the most exciting scenes of the whole series. Bourne and the CIA are almost playing chess with a man. Bourne is directing him around the board, while Vosen and the CIA hunt him down. It’s a really great scene. I liked this film a lot more than I remember. I think I must’ve not been in the mood the first time I watched it, because I never considered it on the same level as the previous two Bourne films. Watching it again, I really enjoyed this film and would put it on the same level as the first two installments, if not higher.